Photo Proof: 'Fantastic' £8m star trains with Firmino/Lallana. Liverpool debut vs. Man Utd? 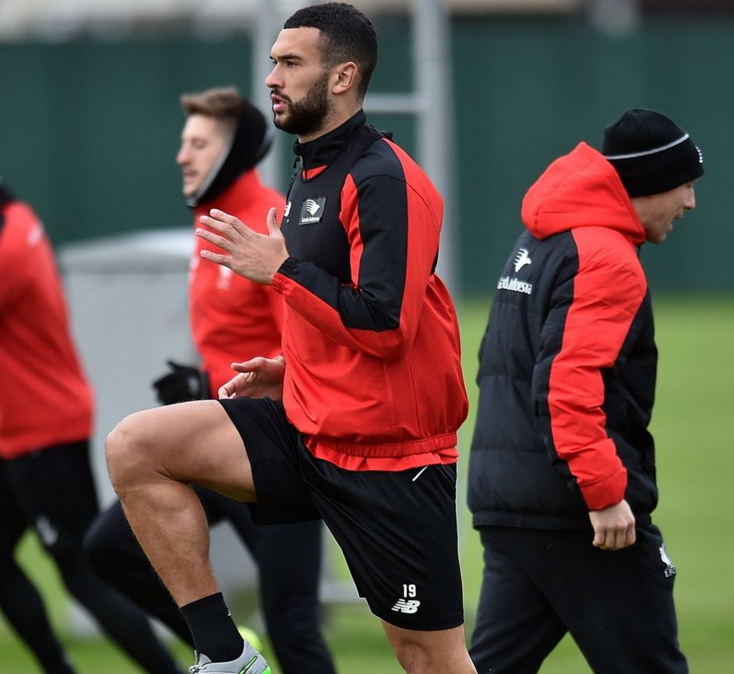 On Tuesday, Jurgen Klopp signed Steven Caulker on loan, and argued that he is the 'best solution' to help Liverpool deal with ongoing injury problems in defence. 24 hours later, Klopp ignored the allegedly 'fantastic' Caulker, and rushed Mamadou Sakho back into the team after an injury lay-off. That proved to be a fatal decision as Liverpool conceded three goals against Arsenal, with the Toure/Sakho axis predictably vulnerable throughout the game. On Sunday, Liverpool have a second tough game in four days against Manchester United, and surely it's the ideal time to start Caulker? As he did against Watford (where Klopp also rushed him back after injury), Sakho had a shaky game against Arsenal, and playing him twice in four days (when he's not fully match-fit) is, in my view, a recipe for disaster. If Caulker is not going to be used to reduce the physical burden on the club's existing centre-backs, then what is the point of signing him? * Sakho has suffered 6 injuries since signing in 2013, and Liverpool have conceded 15 goals in 6 games after Sakho's return from each injury. * Liverpool have won only two out of six games when Sakho returns from injury. With this in mind, why does Klopp continue to rush Sakho back from injury when, historically, the team ships goals when he's not fully match fit? For Man Utd: Start Caulker alongside Toure, and bring Sakho on to replace the Ivorian around the 65-minute mark (depending on the score). In my view, that's how it should've been against Arsenal (but with Sakho replacing Caulker, not Toure).